Home The NewsMill Restrictions in downtown Srinagar, Mirwaiz put under house detention. Restrictions in downtown Srinagar, Mirwaiz put under house detention. 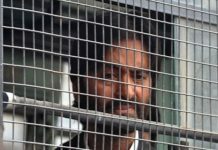 The authorities have imposed restrictions in parts of downtown Srinagar following violent protests inside the Central Jail, Srinagar on Friday. 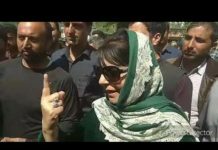 Reports said that restrictions have been imposed in parts of Srinagar’s Old city including Nowhatta which houses the historic Jamia Masjid. 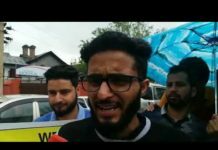 Barricades have been erected at several places to curtail the movement of people.The authorities have also put the Hurriyat (M) chairman Mirwaiz Umar Farooq under house detention in wake of the protests. 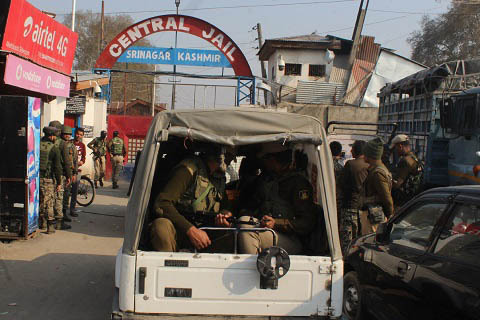 Two inmates have been reportedly injured and at least three barracks and a building suffered damages inside the fortified central jail.The authorities also rushed additional companies of the CRPF to the jail to bring the situation under control. Previous articleClosing highway will have disastrous consequences on Kashmir economy: KCCI. Next articleNeed of hour to forge unity to protect J&K’s identity: Rather.